Tanja Becker-Bender was early on awarded top prizes at the international competitions in Geneva, Tokyo, Houston, Gorizia and Genoa. As a soloist, she performes under the baton of Kurt Masur, Gerd Albrecht, Lothar Zagrosek, Uriel Segal, Fabio Luisi, Hartmut Haenchen, Hubert Soudant, Ken-Ichiro Kobayashi and Carlos Miguel Prieto with renowned orchestras such as the Tokyo Philharmonic, Jerusalem Symphony, Yomiuri Nippon Symphony, and Houston Symphony, the Orchestre de la Suisse Romande, Radio Symphony Orchestra Stuttgart of the SWR, Konzerthaus Orchestra Berlin, and the Vienna, Zurich and Prague Chamber orchestras, as well as the English Chamber Orchestra. She is a regular guest at international chamber music festivals. Her latest CDs for Hyperion Records – Paganini “24 Capricci“, Schulhoff Works for Violin and Piano, Reger Violin Concerto, Respighi Works for Violin and Piano – were awarded numerous distinctions by the international press (Editor’s Choice, Gramophone and Classic FM, Disc of the Month, BBC Music Magazine, “Outstanding Award”, International Record Review, “Star of the Month”, Fonoforum). Working with contemporary composers is of special importance to her, leading to collaborations with Peter Ruzicka, Cristóbal Halffter, Peteris Vasks and Michael Gielen, as well as premieres of works by Alexander Goehr, Rolf Hempel and Benedict Mason. During this season, a CD of the Hindemith Sonatas will be released, played together with pianist Péter Nagy, and performances or recordings of Concertos by Strauss, Busoni and Ligeti will be a special focus. 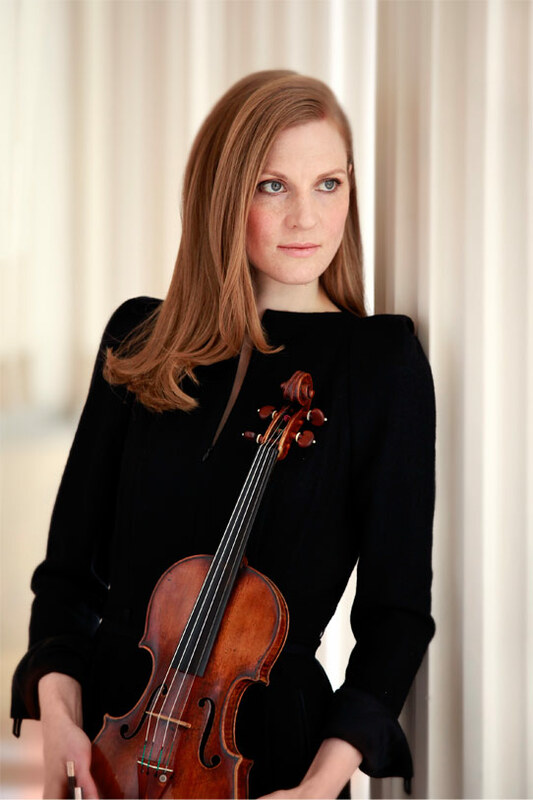 Tanja Becker-Bender studied with the leading quartet musicians of the world, with Wilhelm Melcher (Melos Quartet) in Stuttgart, with Günter Pichler (Alban Berg Quartet) in Vienna, and with Rober Mann (Juilliard String Quartet) in New York. Important impulses came through Eberhard Feltz and Ferenc Rados.